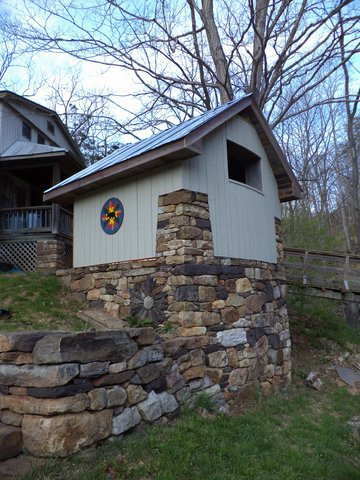 This interesting structure is a cistern structure, built by the client's own hands, upon which the Black Bear hex sign is mounted. He explained, "it's been a six year thing (the tower thing on the left, 4000 gallons with storage added on top). And yes, I did all of it myself". The client chose the black bear because "the bear symbolizes wildness, oak leaves and acorns would fit as this is a primary food source in the fall. The timelessness of nature and the power. We have a lot here-they are in a real uptick, sorta like deer were in the 1980's and 1990's. Powerful presence." 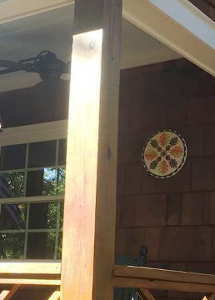 These pictures are of an 24" Wilkom (welcome) sign given as a birthday gift to a family living in Arizona. My client said "They love it, as we do & hope you feel the same. Once again, thanks for your great service and playing such a large part in making her birthday a special memory she will enjoy every day." 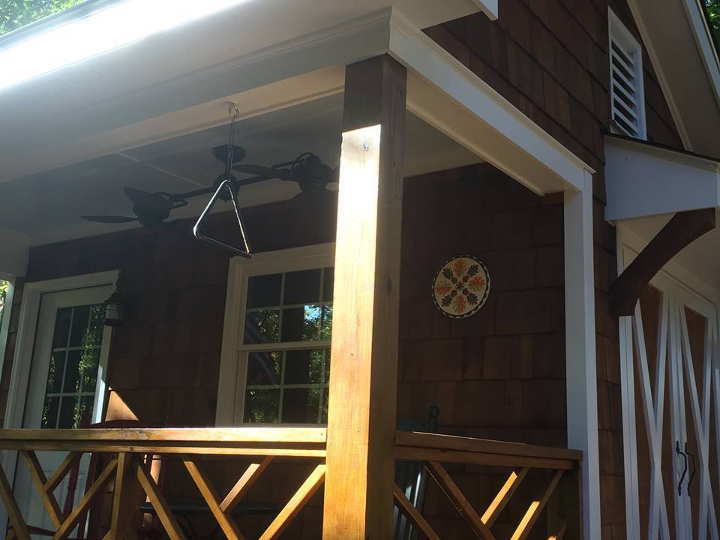 As always, a click on any image will show you a larger version, however many of the pictures I get of installed signs these days are taken with cellular telephones or other mobile devices at lower resolution. To the left is a 12" Mighty Oak sign next to the door of a home in Georgia. 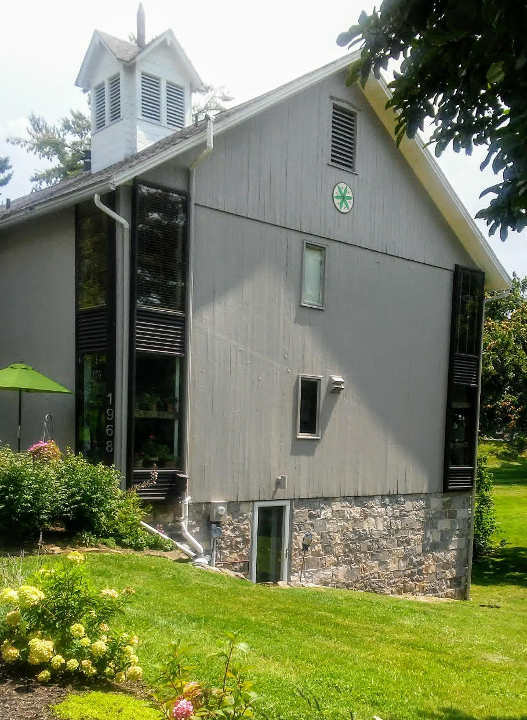 Even though it is traditional to mount hex signs at the peak of the wall under the eaves, or high on a long wall like on many barns in Pennsylvania, this placement is an excellent way to mount and effectively show off a smaller sign. Good to know if your budget is smaller! 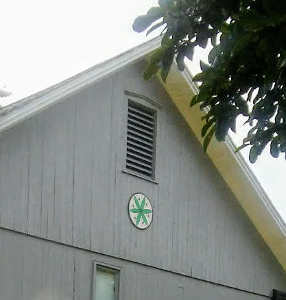 And to the right is a Growth hex sign, my own creation, mounted on a home in Pennsylvania. 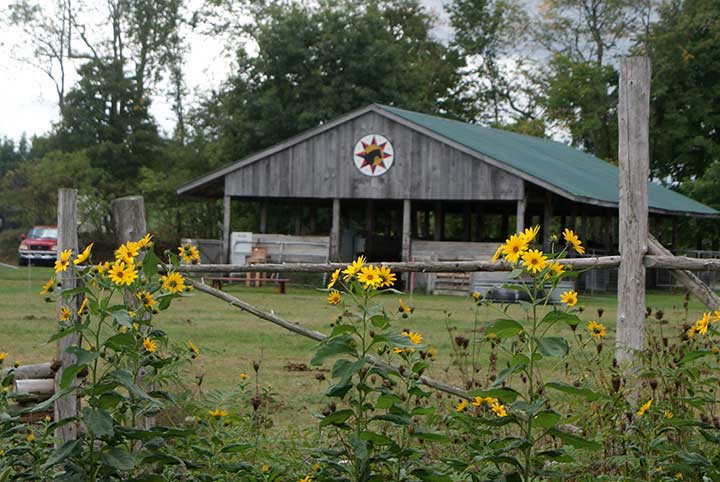 It has been very exciting to me to see that the growth in my business over the last few years has included a large increase in the number of signs that travel from my farm studio in rural Maine, to the traditional home of the art form, Pennsylvania! This year, alone, I have sent orders for multiple large signs to grace barns in rural southern Pennsylvania. Once again, photos from a mobile device, but as I said above, I love to see the signs in their new homes, regardless of the quality of the image. We can't all be Ansel Adams! 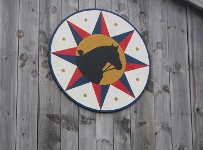 The hex signs that are mounted on the livestock barns at the MOGFA Common Ground Fair grounds are much loved and appreciated. get hung in time for the fair, but look for it next year! hangs on the ox team barn. 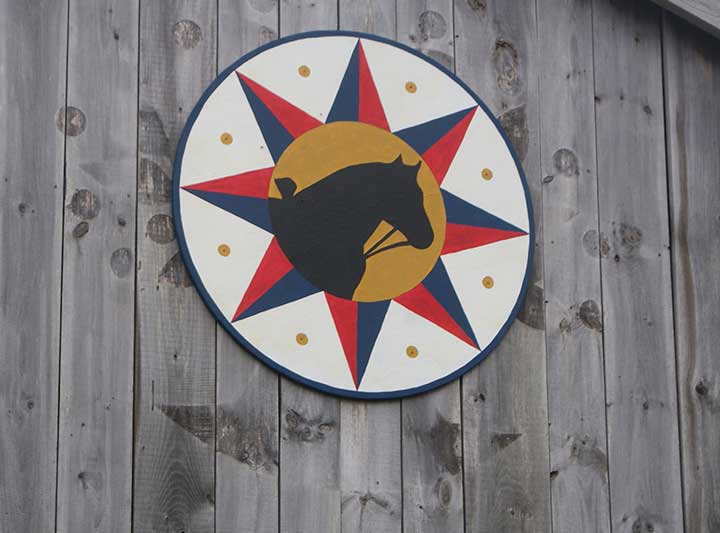 The Draft Horse Protection sign from 2015, still looking good!